Type locality: “Sierra Verde and Pozo verde”. Uetz, P. & Hallermann, J. 2019. Crotalus tigris. The Reptile Database. Accessed on 6 May 2018. 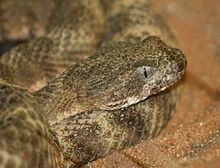 For more multimedia, look at Crotalus tigris on Wikimedia Commons.